Brenda Gonzalez, a first-year law student at Tulane, will be researching culture, creative spaces and the arts with Russian and American students as part of the Stanford U.S.-Russia Forum. A Tulane Law student has been accepted to the prestigious Stanford U.S.-Russia Forum, a Stanford University program dedicated to bringing students at leading Russian and American universities together for research in public policy, business, economics and other disciplines. Brenda Gonzalez, who is a first-year law student, applied to the program earlier this year when she was Fullbright English Teaching Assistant living in Tomsk, Siberia region, Russia. She is among 20 American students who will partner with 20 Russian counterparts for a year of joint research. Gonzalez said she is part of a four-person working group of two Americas and two Russians whose year-long study will focus on culture, creative spaces and the arts. The goal of the project is to create a concrete platform through which Russian and American youths can communicate. “We are focusing mainly on geocinema and hiphop as a way to bridge the cultural divide,” Gonzalez said. Gonzalez, who has a Master of Arts in Russian, Eastern European and Eurasian Studies The University of Texas at Austin, will attend two conferences throughout the course of the year, one in Russia (Moscow and Tyumen) and one in the U.S. (DC and Stanford). In Russia, Gonzalez and the other Forum participants will be meeting with both government officials and business leaders to gain a legal understanding of any potential issues that may arise when and if the project is implemented. Prior working groups have researched such projects as the use of new media; cooperation in space integrating academia and the public and private sector; international arms control and law enforcement; regional security at the Afghan-Tajik border, cybersecurity and more. 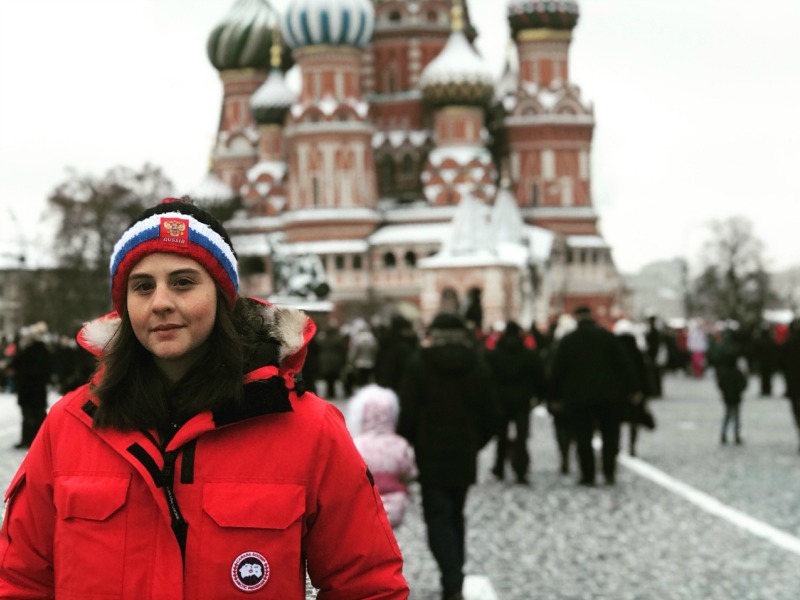 Gonzalez became interested in U.S.-Russia relations during her undergraduate studies where she studied Russian and became enthralled with 20th Century Russian history. Afterwards, she pursued a Master’s degree and focused her research on U.S. – Soviet relations in an effort to understand how the past relationship between the two countries shapes current policies. Gonzalez hopes that her current participation with the SURF program will help propel policy for better US – Russia relations. “I feel honored and privileged to not only be participating in this wonderful forum but also to be representing Tulane Law. As the only law student in our co-working group, I believe my analysis will offer a unique perspective,” she said.